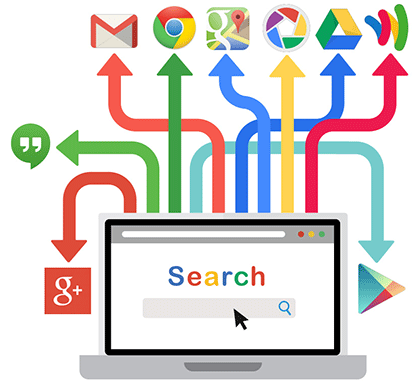 Our goal is to get your business to the top of the search rankings for targeted keywords related to your services, using our proven Search engine optimisation (SEO) techniques to increase your businesses exposure online and ultimately increasing sales. The world of SEO is a constantly evolving arena and we stay ahead of the game by keeping up to date with industry best practices. With more than 200 different ranking signals in Google's search algorithm which determines where your site ranks compared to everyone else, there is a lot things involved in getting your website to the top. We go to great lengths to improve our clients websites prioritising quality over instant results ensuring you get lasting, reliable results that means you won’t be penalised for questionable practices. First we gather as much information on your business and industry as possible identifying keywords to focus on. Onsite optimisation refers to all the measures that can be taken directly on your website in order to improve search engine rankings. We create quality relevant backlinks to your website using a range of natural, diverse inbound links, which leads to better rankings. We send simple, and clear monthly SEO reports with rankings updates so you can see the improvements of your website. Here is a selection of the latest posts from our SEO Blog, where you can find out the latest Search Engine Optimisation trends and developments.